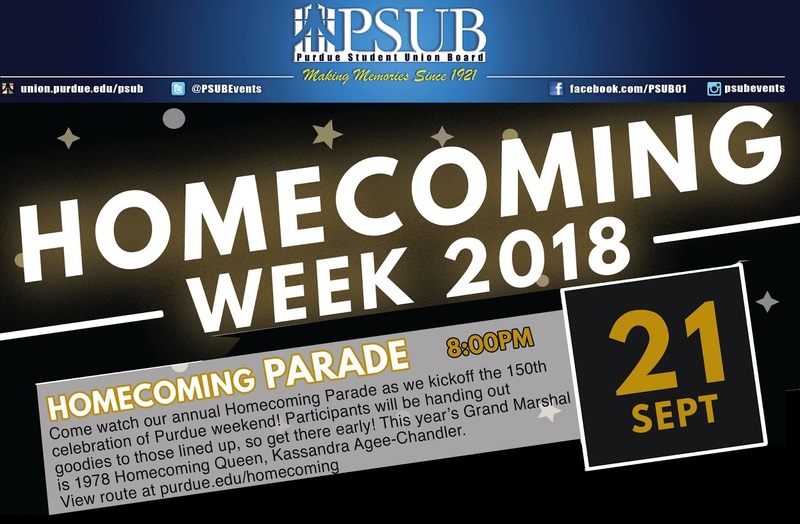 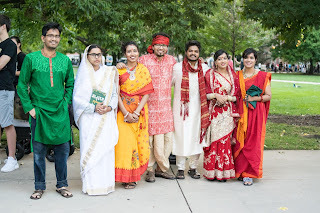 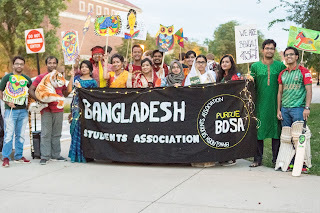 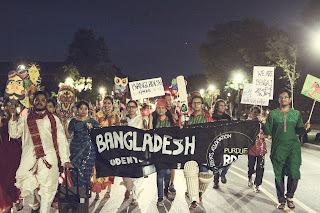 We are planning to participate in the Purdue Homecoming Parade to be held on September 21st. 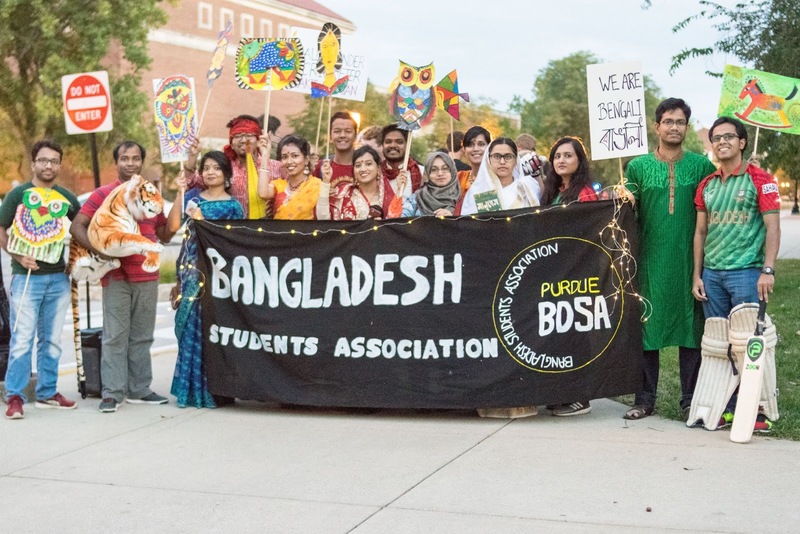 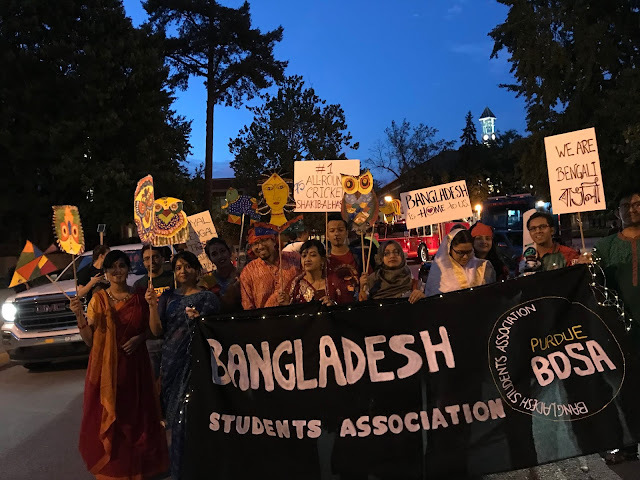 PSUB expects about 5000 spectators in the parade and it would be a great opportunity to uphold the name of Bangladesh in such a large event. 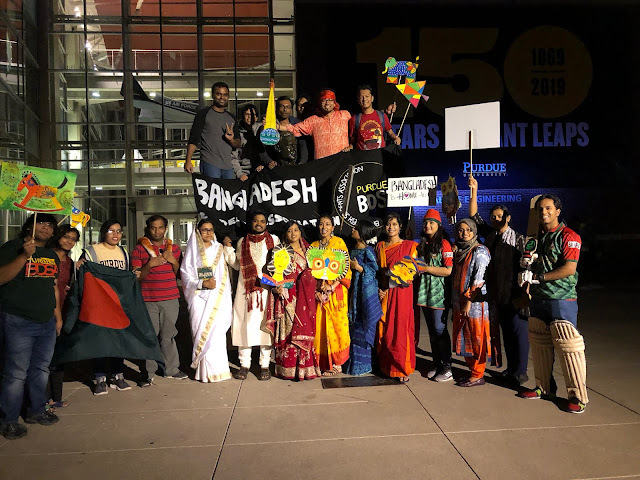 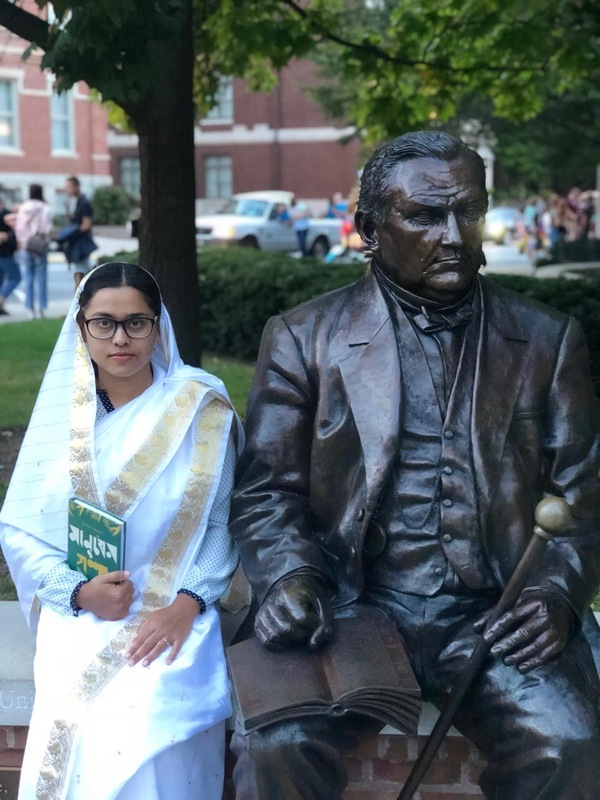 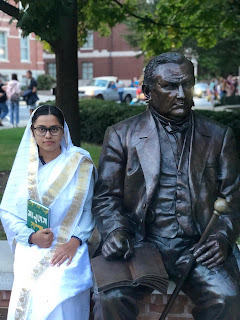 BDSA member Sabrina Chowdhury dressed up as Begum Rokeya, the pioneer of women education in Bangladesh, poses with John Purdue, pioneer of the Purdue University.